Config has been enhanced to include support for global list values. This will further help reduce possibilities of an error due to faults in configuration files. This latest upgrade also includes on-premise licensing and better management for your team that is setup on Config. Organization structure now has access restrictions on configuration modules. As usual we have also enhanced stability and done a through check to fix any bug that we could come across. The feature is essential for reducing the possibility of typographical errors arising due to modifications to configuration files. This new feature provides the ability to create a custom data type with a list of comma-separated values that are valid for a key. All the user has to do is select the value from the dropdown the next time a modification has to be made, no typing and thus no errors. Furthermore, the list can be reused on any configuration. The feature is available through the properties pane icon located at the right end of a key (shown in the picture). Once the pane opens just click on the Data Type: button to change the data type or add/edit a global list of values. 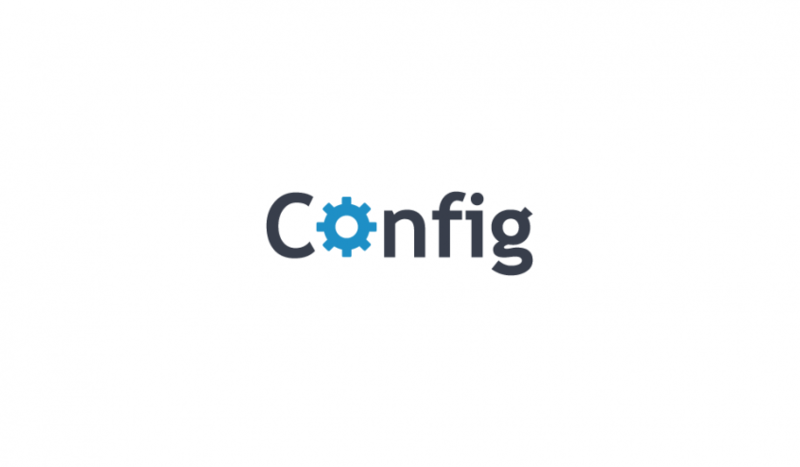 Config is Software-as-a-Service, but we now support on-premise deployment for users who wish to deploy Config in their own environment. For interested parties on how to get Config on-premise, please reach out to us though our contact us page. Administrators can now restrict access to any entity within the Config hierarchy. On the Permissions Page, choose the user you want to restrict access, choose the entity or configuration, and choose NO ACCESS, then click the save button. The system now provides 5 different levels of access thus giving you flexible control over your team and its access permissions. Permissions follow the most restrictive access within the hierarchy. For example, if the administrator set a no access permission on a specific application, the user will not have access to the entities under the application (i.e. all modules, all environments, and all instances), even if there are explicit non-restrictive permissions on these child/grandchild entities. Release Version 0.7.0 is a GDPR release. In compliance with the GDPR regulations, our systems now allow Org Administrators to delete all their data from our live servers. This command is executed immediately and is irreversible. Our backup servers are regularly updated and our retention duration for user information is a maximum of 8 days. The Delete Org option is available to the Org Administrator or the user who created the account with Config. This new feature — Delete Org, is available as a link on the Users page. We must advise users that this feature will immediately delete all data, including what is created by Users within the Org. Once you evoke this command you will be logged out and will not be able to log in again.